According to a professional staffing service website, the currently shuttered Full Tilt Poker is beginning the process of hiring new staff as it eyes a restart – at least for players outside of the United States – later this year. Eleven positions are posted on Rational FT Services and are separated into two categories, Marketing and IT. In the Marketing area, a Promotions Manager and a Product Business Analyst are being sought. In the IT field, nine positions (such as software developers, a Linux Engineer and a Java Developer) are taking applicants. In some of the positions, a college degree is required and every position is requiring several years of experience in that particular field of expertise. No salary terms are listed for the positions, instead saying they are “negotiable,” and potential hires would likely have to move to Dublin to take the position. The hiring call by Rational FT Services is another indicator that Full Tilt Poker – which has been dark since June of 2011 – is inching closer to being reborn. After the purchase of the organization in late July in a deal worked out between the U. S. Department of Justice and PokerStars to settle their legal dispute, PokerStars stated at the time that they would bring Full Tilt Poker back to the online game, setting a relaunch date of November 6 at the latest. In making that announcement, PokerStars said that the new Full Tilt Poker would remain a separate entity instead of merging into the PokerStars empire. 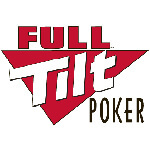 In promising to bring back Full Tilt Poker to the online poker community, there was a mix of good and bad news. Upon its relaunch, players from around the world will once again be able to access their Full Tilt accounts and either immediately play or immediately remove their bankrolls from the site. For U. S. players, however, the news was bad; as a part of their negotiated deal, the U. S. Department of Justice will handle paybacks instead of receiving it from PokerStars. At the time of the July settlement, the Department of Justice stated that, while they were responsible for American payouts, they had not settled on a method for that action. Since that time, however, the Department of Justice has gone silent on the issue of payment, which could range in the neighborhood of $150 million for American players. The Poker Players Alliance has stated that they will be “diligent” in making sure that American players are paid back, but they too have been quiet on the subject. While they have set up a dedicated portion of their website to player payment (under the heading of “PPA Players Repayment Resource Center”), there have been only two updates in the month-plus since the announcement of the PokerStars/Department of Justice settlement, plus a link to the PokerStars FAQ regarding the Full Tilt acquisition. One of those updates came immediately following the announcement of the settlement while the second is basically a statement from the advocacy group as to why players should receive their entire Full Tilt balances. Other than that, there is no recent news as to the state of the PPA’s efforts on the subject or any news on how the Department of Justice plans to repay American players. For the remainder of the world (or most of it anyway), the news of the hirings heralding the rebirth of Full Tilt Poker may come as good news. For Americans (and select countries such as Italy, France, etc. ), the wait continues.